It’s been a week of most curious tales on our forums. We’ve got another Phantom update lurking in the shadows and churning the rumor mills. A user on WebmasterWorld accidentally re-avowed some items on their disavow file… only to experience a tremendous surge of traffic. Users on SEO Chat wonder if Google has broken its own algorithm, and on Cre8asiteforums users discuss the best way to hop from one server to another. That’s the news in brief – do I have your attention? Let’s go in-depth! 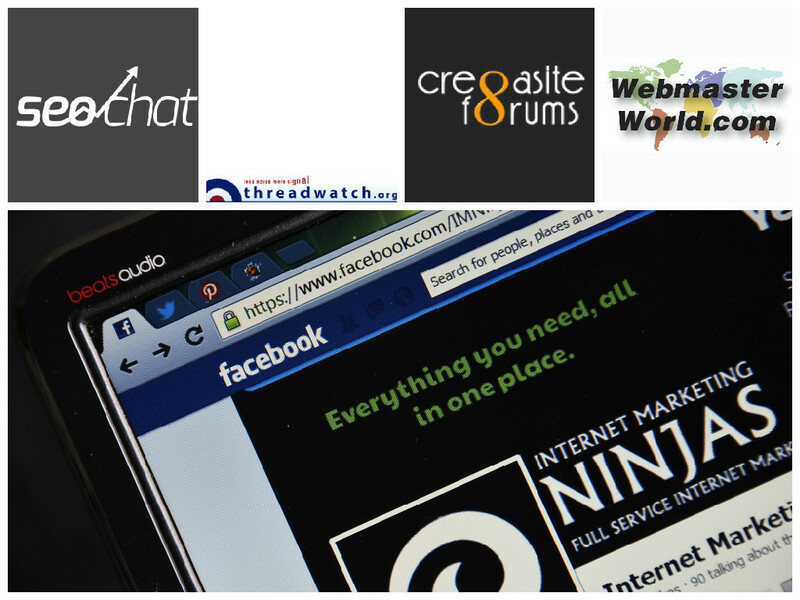 So if you want to stay up to date, visit Threadwatch or WebmasterWorld and listen through the grapevine! A Mistakenly Updated Disavow File Causes Traffic to Soar! The question now is – should the domains be disavowed again, or should they ride the wave? There’s a lot to be learned about Penguin and links in this thread – it’s one of our must-reads of the month! Has Google Broken Its Own Algorithm? Google and links have always had a touch-and-go, yet close relationship. Webmasters sometimes lament that Google seems to be purely about links. Spammers, certainly, can’t stop talking about anything other than them. Has Penguin become a shotgun lacking precision? Are links too dangerous of a game? Is Firefox Asking for Donations? But what part of the company is supported by these donations? And have you seen the ads on Wikipedia this year? “Wikipedia has been slapping me with some of the biggest, ugliest, horrible-colored ads that I have ever seen,” writes user EGOL. and it also included pure spam manual actions and tremors. Have you noticed any changes? The Let’s Encrypt foundation, which provides “a free, automated and open certificate,” has entered public beta. That means anyone can get an HTTPS certificate for free from them. Users on WebmasterWorld were surprised to hear how many systems support Let’s Encrypt’s certificates. “Free certificates are nothing new but their FAQ claims that their certificates are trusted by everything but Windows XP! If that’s true this is a huge step forward,” writes IanKelley. If you give Let’s Encrypt a try, post on the forums to let our users know how it goes! If you’ve got specific questions, join up and ask away! For general tips, definitely give this thread a read. A short time ago I made my first website and now that I understand more about these Google updates. In other istes I saw that this update it was only in early January. Well, still know little about SEO, however I believe these updates is always to improve the algorithm and the search system.